The point where absolute luxury meets mobile garage! The new Momentum M-CLASS Fifth Wheel Toy Haulers are lighter, but are no lightweight when it comes to features. Inside and out, the Grand Design M-CLASS series has redefined the look and feel of the toy hauler. When it comes to elegant design and amenities, one word encapsulates it... “CLASS”. 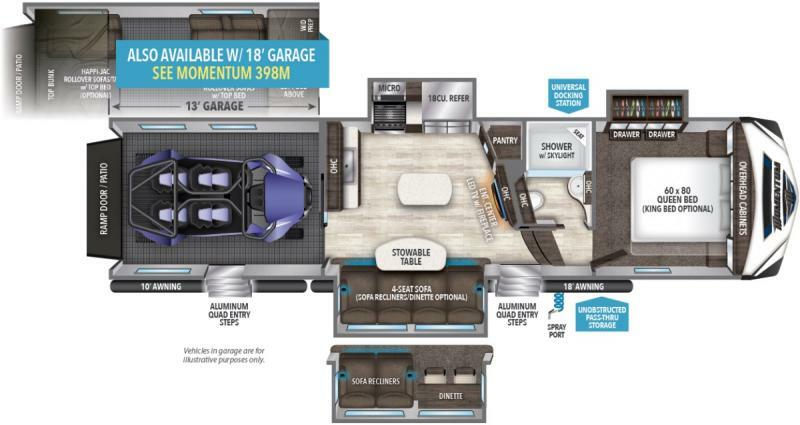 Contact Affinity RV for details on our 2019 Grand Design Momentum 349M and start your RV dreams today!